Summary: Do you often listen to rap songs on iTunes? Here we have made a list of top 17 best rap songs on iTunes. Go to check them and find the tool to remove DRM protection on iTunes or Apple Music. This song is among the top rap songs on iTunes and for good reason. DJ Khaled, Justin Bieber, Chance the Rapper and Quavo make a great team and have brought this hit number, winning their fans’ hearts. Drake’s album Scorpion has produced a hit after hit. This song has received equal popularity and has quickly made its way to the iTunes top 10 hip hop rap songs. The song makes a few references to his exes, including Jennifer Lopez who he dated for a while. This hit track has made it to the top rap songs on iTunes. The video featuring Cardi B has also gained quite the views. It includes some incredible rap lines from Bad Bunny and J Balvin. This should definitely be added to your song list. One of the top rap songs of 2018, it has become quite the hit. I’m sure you already have it on your song list. If not, then what are you waiting for? This great number by Drake has made it big on the iTunes hip hop album charts. This song tells a story about a woman’s confidence through the way she pays her bill and the way she goes to the club without a lover. It’s a great track to add to your list. The video of this track by Lil Dicky has already got a lot of views. It is a hilarious parody single created with Chris Brown along with uncredited vocals from DJ Khaled and Ed Sheeran. The song has already made its way to the top rap songs on iTunes. A gem from Glover’s catalog, the song showcases discrimination against races, violence and injustice. The song has made it to iTunes hip hop album charts in a really short time. Migos and Drake have linked up to create this blockbuster hit. This song should be on your list if it isn’t already. This track by Juice WRLD is among the top rap songs on iTunes. The song portrays Juice WRLD feeling not being able to fall in love. The struggle with emotions and the vulnerability of relationships make this song universal and quite relatable. Among the top rap songs on iTunes, this song by Nicki Minaj has surely won many hearts. The fun lyrics and fiery beats will get you grooving to it. Definitely another great song by Nicki Minaj. A song made by collaborating always has the highest chances of being a hit. This song by Chris Brown, Fat Joe and Dre is no different. Combined with some good hip hop and jazz feels, it’s a sure winner. Another great hit by Cardi B, this song has formerly been the number 1 song on the billboard hot 100 chart and rightfully so. Just like the song, Drake is nonstop. He continues to dazzle and wow his fans with hit after hit. This track is not any different. This song makes a lot of points such as cultural institutions that somehow fail to include black artists. It’s hip hop and will definitely get you thinking. This hip-hop rap from Juice WRLD has made it to the top of the iTunes top rap songs list. This song takes the listener on a predictable journey that is rewarding just like its predecessor. Great elements and a continuing development have made Juice WRLD’s Lucid Dream a hit rap song on iTunes. This hot number by DJ Durel and Migos is a recent track, which has gained quite the popularity and scored its place amongst the iTunes top 10 hip hop rap songs. The song has the mainstream hip hop feels along with the groovy tunes that will make you hum along. If you want to remove the DRM protection on iTunes and Apple Music, you can use the DVDFab DRM Removal for Apple. It’s easy to use and will allow you to play you music on any device you want. You may have already meet the situation that you cannot add your file to iTunes library successfully. So what’s wrong? The reason possibly is that the file format is not supported by iTunes. So what video/audio formats are supported by iTunes? 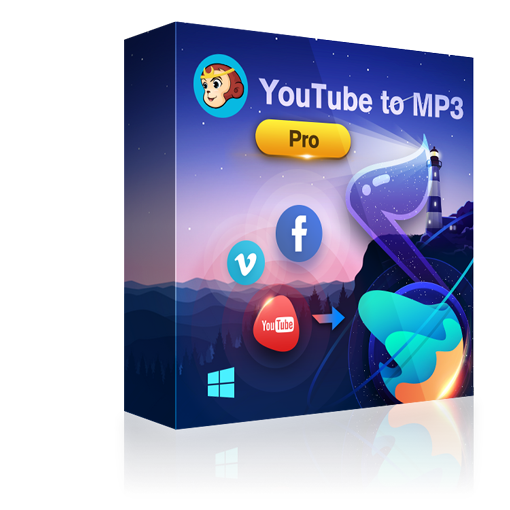 This article will introduce you the formats supported by iTunes and the tools to convert iTunes files for play back as the way you like. Errors where iTunes won’t open for one reason or another are more common than you might think and can happen on both Mac and Windows. So here we are going to talk some solutions to fix these problems.